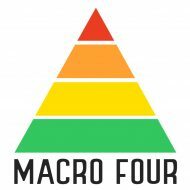 Posted bymacrofour	 March 2, 2017 March 2, 2017 4 Comments on Prof. Andrikopoulos: The Sir John Pringle of Australian Diabetes? In our last post, we saw that Paleo dietary solutions were researched and shown useful for diabetes in Aboriginals in the 1980s. Diabetes and other chronic disease were obviously caused by a western diet and lifestyle, and yet the recommendation to Aboriginal and Torres Strait Islanders was to eat the very same Western diet that was making those chronic diseases prevalent in Western people like me. 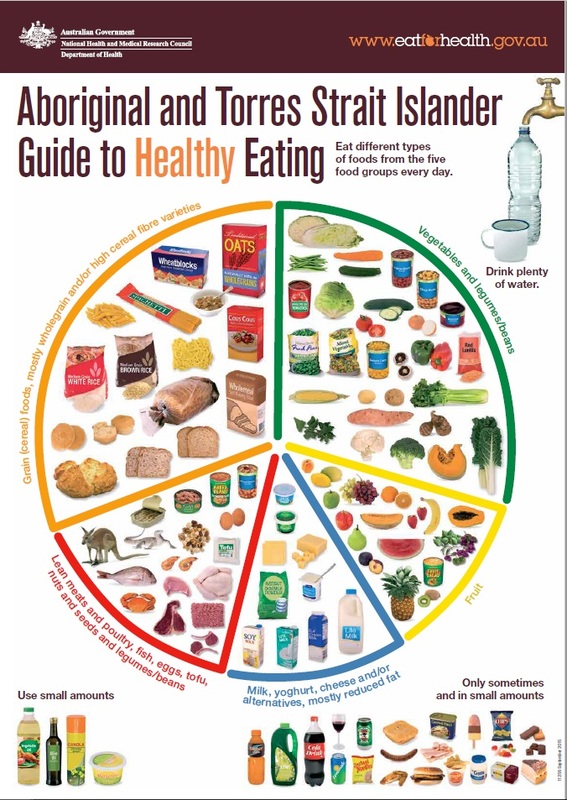 Here are the healthy eating charts for Aboriginal and Torres Strait Islanders and the one for all Australians. Prof. O’Dea’s work showed some forty years ago that we are metabolically different yet these nutrition charts treat us as metabolically equivalent. Prof. O’Dea also revealed that the traditional diet reversed chronic diseases for the First Australians however but for token changes, neither chart reflects a traditional diet. A traditional diet would be around two-thirds meat with few carbohydrates and seasonal fats. It would not have taken too much effort to look at the macro-nutrients of the Nyungar diet or Prof O’Dea’s data and devise a better-suited eating chart. Instead, I am sorry to say; this is like someone drew in a token lizard and kangaroo and substituted and moved some other pictures around. The emergency of diabetes and chronic disease among Aboriginal and Torres Strait Islanders deserves better than this. In fact, as Prof. O’Dea alluded to, we all might be better eating from the same chart reflecting an Australian ‘Paleo’ diet. When we examine what people diagnosed with diabetes should eat, the recommendation is that they still eat the same as in these charts. All Australians with diabetes should ask themselves something at this point. If we have used those dietary guidelines as a nation and we have ended up getting fatter and sicker, why will continuing with that advice solve the situation? The question is profound, but the answer is obvious. Of course, it won’t. Like this country’s obesity and diabetes statistics, your personal statistics will continue to get worse trying to follow that advice. Australia is chronically sick as a nation trying to eat that way, and you are also chronically sick trying to eat that way. Aboriginal and Torres Strait Islanders are even more unwell, and they point the way for all of us. I must emphasize the word “trying”. You see some people try to explain away the problem by saying that people do not follow the guidelines. They imply that their technical perfection is the only effort needed as if their job was done. Population health demands actual outcomes not theoretically perfect guidelines that people cannot or will not follow. What has held Prof. O’Dea’s revelations of forty years from a possible practical application? It would be scandalous if this was deliberate as it really would by tantamount to a systematised dietary genocide of the First Australians. We can probably rule that conspiracy theory out though as it is killing us all. How could we arrive at this point where we are all getting sicker trying to follow this advice? This is not a problem of nutrition, and it is not an issue of the science. It is a problem of innovation. We have already seen in past posts that dietetic organisations like the DAA appear preoccupied with things other than our health (including whole-grain breakfast cereals) and what seems to be dietary dogma. This contributes to the innovation problem. What about the diabetes research community? While the problems are systemic, innovation can sometimes be held back by an individual at the top who holds views of the status quo. Usually, it is that the existing paradigm and way of thinking is a source of their power. Sometimes there are other reasons. It is instructive to look at the views of those who rule the roost on diabetes advice. Prof. Sofianos Andrikopoulos is arguably the foremost Australian diabetes researcher being the current CEO and past president of the Australian Diabetes Society (ADS). The ADS vision is: “To be the leading society for research, medical practice and education in diabetes”. They work with Diabetes Australia and the Australian Diabetes Educators Association (among others) who are on the front line to deliver diabetes management in practice. The ADS lists ‘innovation’ as a value. It takes a certain mindset for organisations and individuals to embrace innovation. In my analysis of companies, the innovative ones have CEO’s that can think differently and embrace with an open mind and build that capability in their organisation. Those organisations have the capability to think of the things that delight the ‘end user’ including things that even the end user never even thought of. They also have the understanding to look for user trends. Users often ‘hack’ a product to make it work better. When they see that ‘hack’ they pick up on that and research it thoroughly to find out why their product or service is being hacked for insight. They don’t discount anecdote or exclaim “N=1!” because that is frequently how invention starts. Innovation is often mistaken for invention. These are different words with different meanings. Invention is discovery, while the act of innovation is the process of introducing something new. One need not invent to innovate and ego, expertise and the need to be seen as infallible are often the enemies of innovation. In the 1700s, the British Navy was facing a battle with a chronic disease called scurvy. In some ‘battles’ it lost most sailors to scurvy than to the troublesome French with whom they were fighting. No matter what they seemed to try, the health of sailors degenerated until they died. Scurvy is of course due to vitamin C deficiency but this was unknown at the time. Scurvy was seen as a complex problem that was multifactorial and even James Lind (who eventually solved it) “saw scurvy as having many causes, including poor hygiene and discipline“. Most believed that diet was a factor. Lind undertook ‘medical trials’ to determine the root cause and pioneered the use of citrus juice to prevent scurvy as early as 1753, however authorities did not endorse it. In the meantime, while citrus juice was still not official policy, “some naval surgeons, however, looked on it as a medicament that they might occasionally provide from their own purse“. No doubt their lack of scurvy was just an anecdote. Historians attribute a big part of the delay to accept Lind’s work to the personal beliefs of the very eminent Sir John Pringle, who held a differing theory on the cure for scurvy. It took Pringle’s retirement and death (in 1782) and the appointment of Gilbert Blane as the commissioner of the Sick and Hurt Board, for this simple treatment protocol to be agreed by the Admiralty. That was not until 1795. What does this have to do with diet and diabetes? We are facing an epic battle with diabetes as a chronic disease- just like scurvy. Diabetes is seen to be a complex and multifactorial problem with diet being a major factor- just like scurvy. O’Dea’s work in the 1980s showed that a Paleo diet, high protein but lower in carbohydrate and fat was a solution for the most sensitive people to this problem (Australian Aboriginals)- just like Lind. Many of us who have effectively cured our diabetes with that kind of diet are like those lemon juice drinking ship’s surgeons. Some of us are indeed doctors. So what are the ‘beliefs’ of Prof. Andrikopoulos about the paleo (low carbohydrate) diets and are they holding up acceptance? We can point to two major pieces of work. In early 2016, Prof. Andrikopoulos published a study of the effect of a paleo diet on mice. His own university wrote a summary of it here. A perusal of his publications shows an extensive list of endocrine-related papers but, unless I am mistaken, no more mainstream diet and nutrition studies until this one. This study really hit the headlines and caused a media frenzy. I lost count of the news and blog articles that it caused and I spied articles in China, India, Canada and the United Kingdom. I am not going to analyse this paper in any detail however, many others have found issues with it. Mice are not representative of people for dietary research (although they may make good models for endocrine research). There are plenty of RCTs in humans that show the opposite effect to this study. This was not a human Paleo diet anyway. Neither by type of food nor by macro composition. It was not the ancestral (Paleo) diet for a mouse so no wonder it caused health issues. Many critics in the paleo and low-carb high fat (LCHF) community were annoyed by what they saw as a biased attempt to discredit their way of eating and some disparagingly tagged the professor with the nickname “Dr Mouse”. Why would the lead author, a scientist of reputable standing in the Australian academe, have been so misled? Mice in the experimental condition were fed something loosely based on a version of the human Paleo diet, which for mice is not Paleo. We think that the way Prof Andrikopoulos presented his results in the media was disgraceful. He can’t be unaware of the human research into LCHF for diabetes and the problems with mouse models. He could easily learn, if he wanted to, about relevant research into the Paleo diet too. Absolutely none of this research supports the claims that he’s making on the basis of his 9 mice. His claims, despite being based on minimal evidence having very limited relevance. seem designed to disrupt the efforts of those of his colleagues who are using LCHF diets to benefit people suffering from obesity or diabetes. The unfounded conclusions of Lamont et al., and the widespread publicity given to their criticisms of LCHF diets, amount to ‘an unjustifiable interference with a method that is working well’. It is unclear how this research fits into a systematic endocrinal research program as may be seen in Prof. Andrikopoluos’ other work. Instead, this sudden foray into dietetic research appears to support assertions of interference and a disruptive agenda. I note that at the time that this research was being contemplated and undertaken, Chef Pete Evans and the Paleo diet was very topical. It is possible that Pete Evan’s popular message had somehow upset the Prof. Andrikopoulos and motivated this study to be undertaken. While I applaud academics who involve themselves in topics of controversy (we need more of it), I question the use of these research resources when diabetes is in crisis if that was the motivation. That is, unless the NHMRC is counting media articles instead of citations these days as a KPI. Prof. Andrikopoulos doubled down with a second foray into nutrition when he wrote a journal article for the Medical Journal of Australia that was also not supportive of Paleo diets (low carb) for diabetes in August 2016. It was also reported widely in the medical media and it was also criticised again– although not as resoundingly as the mouse study. I think it should have been due more criticism. It is surprising to realise that when the journal article was written, the CSIRO had already done considerable work on its low carb diet with 93 participants for 24 weeks for diabetes and published in mid-2014 yet that is mentioned nowhere. With his profile in the ADS, that work must have been known to him. About six months after that ‘warning’ that went to doctors through the journal, the CSIRO has published a popular book on the subject on sale to the public. 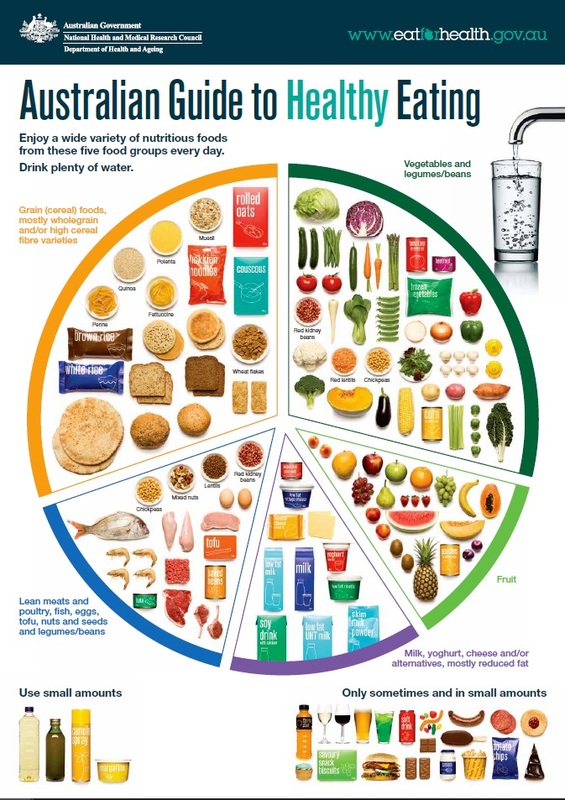 Imagine when patients begin talking about the CSIRO diet and their doctors lack information. It is all the more surprising when you realise that the mouse study itself was undertaken in the shadow of the CSIRO work. While the diet composition was different (58% vs 80% fat for example) they are similar enough to question why the mouse trial was done at all. The potential effect of popular weight loss diets needs to be carefully considered with the help of sound evidence before they are recommended for type 2 diabetes. …. clearly more randomised controlled studies with more patients and for a longer period of time are required to determine whether it has any beneficial effect over other dietary advice. Prof. Andrikopoulos, as a diabetes research leader through the ADS should be and should have been the driving force to solve these questions. Leadership is not owned, it is given. Unless he has been very busy in the last months solving these important questions of potential dietary diabetes therapies, his leadership position looks diminished. If indeed, it is as it seems (that these research questions have already been answered) then it would instead appear that his beliefs have been killing the innovation efforts of others. What I curiously discovered in writing this blog is that Prof. Andrikopoulos refers to one of Prof. O’Dea’s papers from the 1980s when writing his journal article. Was that reference by Prof. Andrikopoulos to Prof. O’Dea similar to how Pringle may have referred to Lind’s work? History is indeed repeated by those who do not heed its lessons. If O’Dea is Lind, and Andrikopoulos is Pringle. One speculates who will be the Gilbert Blane who now shows the leadership to bring change and when? Whether a low-carb paleo diet is 80% fat as in the mouse study or low-fat high protein as in O’Dea’s work, the ADS cannot ignore the low-carb issue any longer. People are getting sicker and dying waiting for innovation. Chronic disease in Aboriginal health is a national shame. It is time for change. In my next post, I will examine how other indigenous people and groups are tackling their diabesity challenge at the grass roots. Great articles on your site. ! I had an interesting exchange with Diabetes Australia. I asked them what were the metablic outcomes of people that followed their dietary guidlines. They said they were based on information from Australian Dietician Association. They said it was worlds best pracrise. They told me they did not have even one outcome..for even one patient..after all these years. I asked how do they know their diets are any good..they then pointed at overseas groups…who also had no outcomes..
And what was even stranger …they dosecret testing..by providing funds to Universities for trials on drugs, to help alleviate diabetes symptoms..not the cause mind you..the effects. But they had no data on those trials..even though they funded them, it belonged to the universities. Welcome to the Orwellian world of diabetes.. Thank you for your info. Like you I cannot understand organisations like Diabetes Australia. For the record, I tweeted them and the state organisations my link to share my latest story (Lions & Sheep) 2 days ago. Not one of them retweeted or replied despite there being useful patient information in that post. Worse, many people have been blocked by them on social media for telling stories and information like mine. There seem to be motivations that are not aligned to the well-being of people with diabetes. In my view, government intervention is required. Gosh, and I thought I was doing so well… losing 30kg, dropping my HbA1c from 14’s down to high 5’s whilst coming off Metformin 2g (div) + Diamicron 80mg..and dropping BP from ‘high’ to lower-range of normal and doing the same with Karvezide 300/12.5. Eating lots of real fats, moderate protein and apart from green leafy things, ‘zero’ carbs. And not one packaged or ‘factory food’ meal. Thank you for comment and for your testimony about low carb success. It is lucky you are not a mouse, or according to the paleo mouse study- you would be dead!